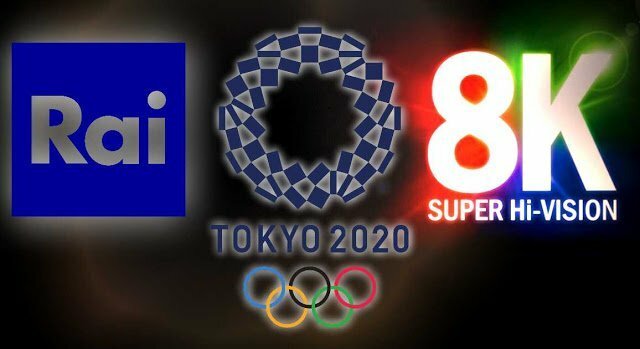 Following in the footsteps of Japan’s NHK, Italian public broadcaster RAI says its planning to deliver coverage of the 2020 Tokyo Olympics in 8K resolution. The broadcaster announced its plans at a special event in Rome last week, where it presented several examples of both 4K and 8K productions. RAI already operates four 4K channels, including NASA 4K, Fashion TV 4K and 4K1, plus another 4K channel that’s broadcast intermittently via the free-to-air satellite platform Tivùsat. If it does successfully broadcast the Olympic games in 8K, it would become the first European TV station to deliver content in the new format. RAI’s move follows the launch of NHK’s 8K satellite TV channel last year, which delivers 12 hours of such content each day. NHK is also planning to cover the 2020 Olympics in 8K. The expansion of 8K coverage isn’t unexpected, as broadcasters have been experimenting with it for some time already. As far back as 2015 for instance, NHK traveled to the US for an experimental production of a Major League Baseball match involving the New York Yankees that was designed to see how the technology could influence live sports broadcasts. More recently, American broadcaster CBS used some 8K cameras during its coverage of the NFL Super Bowl LIII, although it was restricted to highlights only. 8K technology promises much sharper and clearer images, but it will likely take some years before it becomes the norm in the average person’s home. TV has in recent years transitioned from standard definition to high definition, and now it’s slowly moving towards 4K. Prices of 4K TVs have come down considerably in the last couple of years, but native content for the format is still hard to come by, with the most common sources being a limited selection from Netflix and Amazon Prime, and some Blu-ray media disks. 8K content is rarer still, with NHK’s satellite broadcasts being one of the few sources available at this time. As such, most experts believe we’ll need to wait until 2023 at the earliest until 8K becomes a mainstream consumer display resolution.